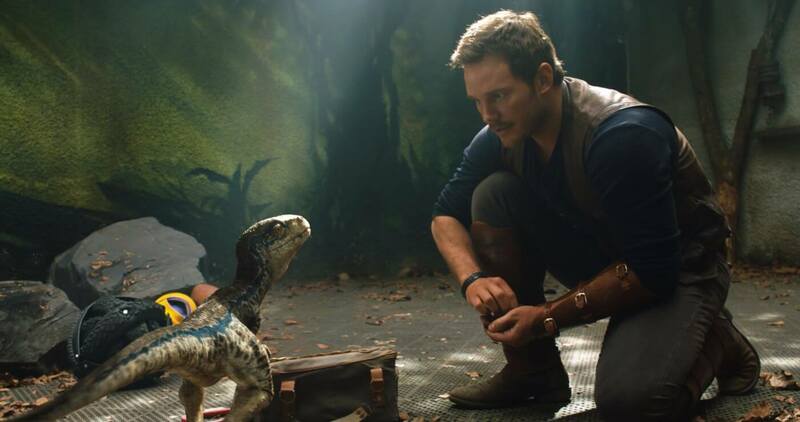 The Jurassic World: Fallen Kingdom hype continues to build as we draw ever closer to the first official trailer this coming Thursday! 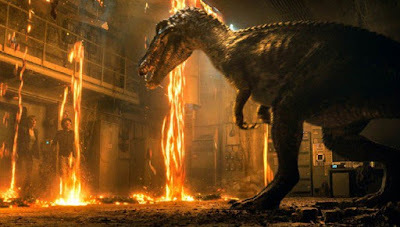 Now, Entertainment Weekly has revealed a brand new image from the film that features a ferocious Baryonyx closing in on our heroes. It appears as though Bryce Dallas Howard and Justice Smith are currently trapped within one of the geothermal plants on Isla Nublar as the vicious predator closes in. The trade also goes on to reveal some more of the film's mysterious plot. "Claire’s founded an organization, Dinosaur Protection Group, and they’re finding a way to get these dinosaurs off the island. She reaches out to Owen Grady to let him know this is happening. When you see them at the beginning of this story, you get caught up as to what’s going on, but it’s not what you would necessarily expect." They also add that Daniella Pineda and Justice Smith’s characters are members of the Dinosaur Protection Group, and quote director J.A. Bayona on the return of Ian Malcolm. But the Dino-Mite fun doesn't stop there! The official film account dropped a new image of Owen and Baby Blue earlier today, giving us a closer look at their location.